Jake and Stella…with four feet. The cat died. I keep looking for her as I step outside or pull into the driveway at night and then I have to remind myself: she’s gone. I saw it coming six months ago when she stopped grooming herself and her plush soft fur turned into matted dreads with leaves and sticks trailing from her tail. Then the days evolved into huge Nap-a-thons with small breaks for food. Then eating stopped and she began to look for a good place to die – somewhere protected and quiet. 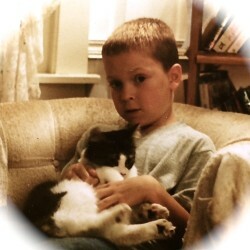 We got this cat 16 years ago when my son Jake, tired of burying goldfish, announced he wanted a pet with four feet. She was a tiny calico orphan at the shelter and he named her Stella Luna after his favorite book about a bat. Spence liked Stella because she came when you called her like a dog and she had the most beautiful fur, thick and silky, which she took great pride in. There were many days after Spence died when relationships with people were too complex and exhausting and I retreated to the stillness of my home, the dog at my side and Stella would stretch out across my chest and stomach like an exotic throw and her warmth and breathing would somehow bring peace. Every time we moved she disappeared for a week, out into the woods. Once we found out that she had been hanging out with the feral cats, like a feline street gang, and she seemed a little less enamored with us humans when she returned. The last few years were predictable. She loved being outdoors and her hiding places, but was smart enough to stay close. She liked me and I think my husband after he rescued her in a blizzard but I told everyone else not to go near her. She drew blood, without warning, on a few occasions. So it was just CB and me at the funeral. I don’t manage loss well. You would think I would be a professional, with a large file of coping mechanisms and wisdom from previous and much greater losses. But I fall apart. Anything that jostles or shakes my emotional frame sends me scrambling to catch the falling pieces, like china hurtling off a narrow shelf. I can’t differentiate the pieces. It’s all just a big mess to me and I plead with God to let me go home but He says the same thing every time – nothing. Yet His eyes burn with compassion and sorrow. Even for a cat. Stella was 16 and I looked it up – that’s 86 in cat years. She had a good life and a good death too. I held her dirty body next to mine under the half moon as the sweet May breeze carried the last of the fading lilacs and wept. Sometimes the world just seems to turn too fast. I try to make mental notes of all the things that are no longer where they used to be, but I forget and look anyway. You can make yourself not care, but then you run the risk of…well, not caring – about all of it. Then what’s the point? I love that Jesus didn’t come as a philosopher or professor that stood in front of the class with a pointer because I never would’ve gotten it. Instead he pulls a chair up and sits with us, patient and ever so kind. He even stoops down and helps us pick up the broken pieces, one by one. And I know this is crazy, but I asked him if he could take Stella to Spence. I can just see it. “Hey Jesus, where are you going with the cat? “and he would just smile and shake his head.. Therefore, it was necessary for him to be made in every respect like us, his brothers and sisters, so that he could be our merciful and faithful High Priest before God. I shouldn’t have done it, but I looked up how old Rosie is, my 13-year-old dog. The first site said 96 and I almost fell over. I felt bad for making her take walks. The next site said 82 and that was easier to accept. But it still made me sad. So lately I’ve been giving her extra treats even though she’s a little fat…and deaf. In Corrie Ten Boom’s The Hiding Place, she befriends the ants that crawl through her cell while she is in solitary confinement. Their life gave her purpose. As long as we still care, we have hope. Sometimes a lifeline comes from an unlikely source; mean cats, old dogs and small children. Or ants. How are you doing with no Stella? 16 years is a long time…she was family. Sweet cranky Stella. She lived a whole lot of life with you guys. Maybe I’m not so crazy. Or maybe I’m blessed enough to have amazing daughter-in-laws – two of them- that always bring comfort when I get jostled. Strength to strength. God marks each step and lays the way before us until one day we will look up and see we are home. Maybe Stella will be there too with her fur fixed. I’m not sure of that part. But this I know. No more broken pieces to pick up, no more looking for things that should be there but are gone. Everything will be just right. Anna Jarvis. You probably don’t know the name, but during a memorial for her mother, Ann Jarvis, in 1905, she decided it was a great idea to honor your mother, so she campaigned and lobbied tirelessly to make it an official American holiday. 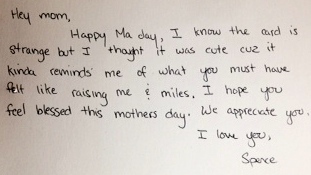 Naively, she thought it would just be nice to write mom a letter of appreciation, or just say I love you. When Hallmark began selling Mothers Day cards in 1912, she got mad – so mad she tried to get Mother’s Day rescinded. She even got arrested at a carnation distributor’s plant in Philadelphia. America won out. There was, after all, a lot of profit to be made in this confusing holiday. The 21st century Mother’s Day has morphed into a grotesque commercial blowout, like so many American holidays, plying shamelessly on the consumers guilt or gullibility. I read an article about a woman who went on a website for people who want to commit adultery – sort of like a Sleazeball.com – because her husband did not give her jewelry for Mother’s Day. My husband feels bad for me on Mother’s Day because A) my own mom is alive but has no idea who I am or what Mother’s Day is and B) my sons are far away – two in North Carolina and one in heaven. He has offered to buy me things but I remind him that I am not his mother. This seems evident. And I am blessed 365 days a year by two wonderful sons and their wives. My children have bought me little trinkets over the years, including a necklace I still own and wear each Mother’s Day, but they know that my most favorite gift is a card or letter, just sharing their hearts with me. I guess if you have daughters this is not so uncommon, but sons emerge emotionally on rare occasions, like the seventeen-year cicadas. I have saved some of the Best of the Best over the years, including a box of poster paint handprints and IOU’s for doing dishes, back rubs and five dollars. Who knows? I may need them someday. When you lose a child, the holiday screams at you at first, then over the years it becomes another reminder that we are not complete. There is a quirkiness that comes with this type of loss. My own mother, who lost a child when she was 36, skipped Quirky and went right to Crazy for many years. It did level off into an odd type of neurosis; sort of a combo Anxiety mixed with Fatalism and Reclusiveness. She loved her kids reluctantly after that. Motherhood had become risky and unpredictable. When my older brother had to tell her that my son had died, she started beating him in the chest with her little bony fists, yelling No! No! No! I think she was saying No more for me than Spence. My mother grew up in the upper echelon of Southern society, where table settings and debutante parties trumped family time. Her mother’s alcoholism was a secret she shoved into a full family closet, until she was old enough to run, and she did – all the way to New York City. My father offered every thing she did not have; security, sanity and a family that fit nicely into a big station wagon. When my brother Timmy died suddenly in 1964, her world imploded and she accepted a twisted lie as her truth – she was no better at mothering than her own mom. She retreated into a purgatory of fear and self-doubt. I think that the thought of her own daughter carrying the same legacy caused her to spin out into a gale storm of anger and confusion after Spencer died. My brothers intercepted and kept her away for a time so she could heal and I could breathe. Then for just a few years before her first brain hemorrhage, we became friends, and I discovered a bond we shared. We had both buried a son. After decades of being at odds and circling each other with suspicion, we found a common ground; a place of such unimaginable pain and sorrow that to this day I can only share with other women who have also lost a child. Then the connection is immediate. Deep calls unto deep. And there I found my mother’s love. Like mom, I am quirky too – but with one outstanding difference. The anchor for my soul that is in Jesus Christ holds me securely from busting loose into a dark abyss without gravity or bearing. Yet I know what that dark place is like and it causes me to stay close to Jesus and look upward, using heaven to navigate by. For that, for this “thorn in the side”, I am grateful. There is no better place to spend your life than in Christ. And in that place of pain, He has made a garden. All kinds of things grow there. It’s crazy – good crazy. I think grief is the most pure form of love. My heart is heavy for those who are new to this journey, who are spending their first Mother’s Day without a child that should be there, but is gone …the footstep, the laughter, the goofy cards and the clumsy words from a heart that loves their mom. If you know one of these moms, the broken ones, give them the best gift of all; let them talk about their son or daughter, or tell them you miss them too. The fear that you might awaken sadness is ridiculous. It never sleeps, trust me. Spring is here. For those of us that endured the Big Freeze of 2015, we are a little amazed that anything can grow but it’s no big deal for God. The fragile bud opens, the pale green leaf uncurls like a baby’s hand and stretches out into new life. In the hospital where I work, they play “Twinkle Twinkle Little Star” overhead when a baby is born. When I tell patients and families what it means, it never fails to illicit an “Awwwww” and a smile, even among the sickest or grumpiest. Upstairs a young woman holds out her arms and a squirming, wet and bewildered infant is laid there. She is mom, whether she is Princess Kate or a heroin addict. God has just changed her forever. The cord is cut but the heart is sealed with the most powerful love on earth. For as the little life unfolds and blossoms and someday leaves her, she is Protector and Keeper of the nest. Her job is to hold, then let go. Can I suggest that this Mother’s Day we return to the humble beginnings of this day? Men, use words. Ladies, just love your imperfect mom. She did the best she knew how to do. Life is ever changing and in an instant, she could be gone. In the spirit of the first mother’s day, just say I love you and lots of Thanks. It really beats a box of chocolates. ***Anna Jarvis died at 84 in a sanitarium in Pennsylvania, never taking a penny of profit for Mother’s Day. Although she was the 10th of 13 children, 7 who died before she was born, she never married or became a mother. 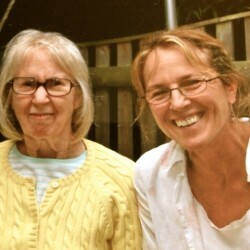 She insisted the day was Mother’s day, singular not plural, so that people would make an effort to honor their very own mom, in a personal way. Although she fought tirelessly to keep it simple and not commercial, she lost that battle. Like my own mom, she spent the last few years of her life with dementia and finally happy. Being silly, just a few months before her second stroke. Love you mom! 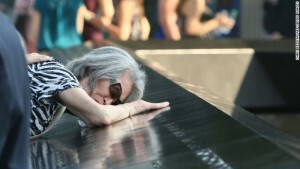 Mija Quigley of Princeton Junction, New Jersey, embraces the name of son Patrick Quigley at the 9/11 Memorial on September 11. Rosie and I resumed our walks around the pond this week. Summertime we are banned (well, dogs are) which is fine because I don’t like the woods in the summer. Inchworms and ticks and mosquitos…yuk. Early this morning the cool air had settled across the pond, creating a thin layer of white mist, like a small cloud hovering over the still water and as I stood on the beach staring into it, I remembered it was September 11. I cry when I think of other people who have lost their children, even if those children are 40 or 50, so I stood there looking at the mist and then the perfect blue sky, just like that day 13 years ago, and I wept for them out of that place in my own heart that still cries. The “We will never forget” that America vowed after that horrid day is an embarrassment now, like so many campaign promises. We did forget, except for this day, which has become mostly a soppy media event, where we again are subjected to smashing planes and burning towers and somber speeches. Then September 12th, we can forget again. But for thousands of families out there, they don’t forget. Their lives imploded, just like those two towers that came crashing down in smoke and rubble. Someone once said that grief is not a process; grief is love. If you’ve ever read about the five stages of grief, I might add another stage; where you realize that 99% of the books written about grief, like the five stages one, are garbage, unless you’re grieving over your pet hamster. Grief is messy, just like love. In fact as I stood there this morning, watching the mist curl upward like smoke, thinking of the horror of 911, and how many lives were forever changed in an instant, I thought this: Love stinks. It stinks when you’re lying awake at night wondering where your prodigal child is, trying to rein in the wild and dark imagery of your child in trouble or danger, or worse… The phone rings and your heart flops over like someone just put paddles to it. You’re so mad at that kid, you could kill him. Truthfully, I remember catching myself being angry at Spence for dying. That’s what love does. I tell people with school age kids to just kick back and enjoy. And rest up. Even if the teen years go well, you still have to let go. Yes, let them go; uncurl your little mommy claws from their coattails and release. Like I said, love stinks sometimes. My son was still alive on September 11th, 2011, but only for about four more months. I remember him saying he would go, he would fight. That’s when America said we would never forget. He had a soldier’s heart, the same heart that put him between a knife and a friend. Like Job, for many months, I cursed the day I was born. I wanted to lie down next to Spence and let the cool earth cover me. But instead I walked around with this gaping hole where my heart was, trying to smile, hiding to cry. But here’s the thing; love is also the only thing on this crazy planet that gives our existence meaning, shape or purpose. That makes sense, because God is love. He is the ONLY one who can mend that sad little shattered heart, can rebuild the rubble piece by piece, stronger and better than before. It’s a simple equation and easy to remember; God=Love. No matter what. We do have an option. We can choose to just not love at all. It’s safe and secure, like savings bonds. But unless you’re made of plywood, I’m sure you will spend your whole life knowing you missed it, the one thing that matters most, more than Emmy awards and Nobel Peace prizes or being cool. I remember holding a sobbing woman who was my age after a doctor told her she was going to die from liver disease. She cried with me because I was the only one who could love her. Angry, alcoholic, a life of loving a bottle first, she knew she might have to die alone. That really stinks. Nellie was one of my patients yesterday. She was 93, almost deaf and about four and a half feet tall. No matter what I said, she thought she was in a hotel and she kept trying to buy me lunch. “No thanks,” I had to yell at her. She smiled, gesturing to the couch in her room for me to sit. Her son was a retired teacher, she said, and I felt a bond with her because one of my sons teaches also. She asked how many children I had and I told her, again having to holler, that I had lost a child, but had two left. Her little wrinkled face creased into a sad frown. “It was 12 years ago.” And she nodded, accepting it as not a real answer to her question, but the one I wanted to give. Her smile was grace. 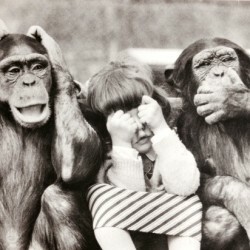 I think that’s how God is when we say, “Love stinks!” It’s not the right answer. But He knows there are no five easy steps, and then you’re done. We will never forget, whether your insides are hanging out and you are gasping for breath, or the pain has settled like an old friend in your favorite chair. The grieving really do want to move forward, to love again, instead of clinging to creepy altars, lighting candles. But we are changed, limping and frail, unfamiliar with ourselves. Yet God, who refuses to remember our sins after we repent, can remember the name of each star. He does not forget our pain. Almighty Father, Jehovah Rapha – the Lord who heals, leans down and says, “Show me where it hurts.” And He presses His hand right there, in that place. And we love again. That comforts me today, as I think of so many broken hearts. Love becomes grace, which turns back into praise; the right answer. And every day, He is worthy of our praise.